The characteristics of joint swelling may give a clinician clues as to the cause of the condition. The presence of swelling (“tumor”), redness (“rubor”), elevated joint temperature (“calor”), and pain (“dolor”) also lead the clinician to be able to discern what may be causing the patient’s condition. This blog post will focus on joint pain and swelling. We will discuss several patterns of pain and swelling to help discern the cause of a knee syndrome. Many times the cause can be identified by history alone, before a physical exam and diagnostic testing is performed. The joints that we will be discussing are all called synovial joints (there are other types of joints). Synovial joints are specialized joints that contain synovial cartilage. Synovial cartilage is the very “slippery” surface that the major joints of the body move on. Synovial cartilage decreases the friction in all of the major joints. It looks “purple” to the naked eye. Under the microscope it can be seen that the cartilage is manufactured by cells called chondrocytes. These cells are embedded in the “pavement” of the joint surface or “matrix.” The matrix is spread over the surfaces of bones that rub against each other (called joints). In a healthy joint the matrix is manufactured as quickly as it is worn down. In this way the joint remains very low friction and painless. In a diseased joint the replenishment of the matrix is hampered. Sometimes by direct injury, infection, loss of cartilage, or by an autoimmune inflammatory process (like Rheumatoid Arthritis). 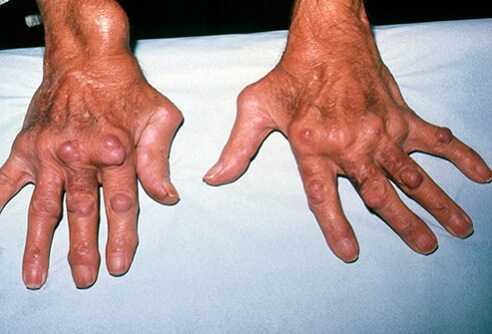 Single joint swelling and pain is usually due to a crystal deposition form of arthritis (such as Gout), direct trauma of some sort, Osteoarthritis or infection. Single joint infection will usually be due to direct inoculation of infection (such as a puncture wound or skin infection that has penetrated into the joint). The history, physical, and needle aspiration of the joint are the starting point evaluation of the joint. You may resist having a needle inserted into a joint that is already painful and swollen. I understand but, for the most accurate diagnosis, it is necessary. A sensitive clinician will spray an anesthetic onto the skin before needle puncture (this will diminish the pain but not completely remove the pain of the needle stick). A needle that is at least #18 gauge will be necessary for some larger joints as the fluid can be so thick that it cannot be removed with a smaller gauge needle (smaller joints will use a smaller, shorter needle). Interim treatment with an anti-inflammatory such as Motrin will begin to help with the pain and swelling. Depending on the findings from the fluid, the therapy can be further intensified in the following 24-48 hours. This can happen even faster if the Doctor has the ability to look at the fluid themselves. The risk of infection is higher if the joint has been previously punctured and if systemic signs of infection are present (fever, chills, etc.). If these signs are present your practitioner may order an antibiotic too. When pain and swelling occurs in multiple joints it implies a systemic or whole body cause. This will be usually due to an autoimmune process (such as Rheumatoid Arthritis) or systemic infection. Systemic infection will usually be accompanied by fever and chills. The process is similar to single joint management in that a sample of joint fluid needs to be taken from the easiest joint to needle. If systemic signs are present, your practitioner may want to hospitalize you for intravenous antibiotic therapy. It is safer to be aggressive when systemic signs are present as the infection may be in the bloodstream (a more serious cause of joint swelling). The cause for this presentation is usually direct trauma of a repetitive type. Over stressing a joint with smaller, painless trauma (such as kneeling) can result in swelling without pain. The singularity of joint findings implies the direct trauma. In some cases, there is no recollection of trauma. 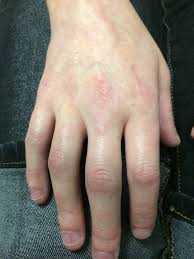 Management would be the same as before, the joint fluid needs to be examined (it needs to be punctured with a needle). This presentation implies a systemic process that is not arthritic in nature. The most common cause for this presentation is cardiovascular disease. 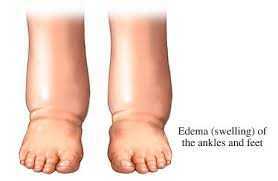 Fluid retention can present this way (such as with Congestive Heart Failure and Kidney Failure). A thorough evaluation by your primary care practitioner will be necessary. I have reviewed the basic approach to joint pain and swelling. It is imperative that you seek the complete evaluation by a trained primary care practitioner when considering therapy. As you can see the evaluation of joint swelling and pain requires recognition of its pattern. The needle aspiration of a swollen joint is an essential step to the accurate prediction of a diagnosis. In my observation during my years in practice I did not see this done enough by other clinicians. 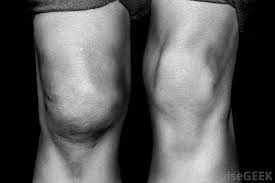 The fluid that is obtained from a swollen joint is a “window” into the mechanism that is causing the problem. It is an invaluable and cheap alternative to other more expensive diagnostic studies (such as an MRI). Most people with joint swelling will go on to have a proper diagnosis and treatment prescribed by their medical provider.